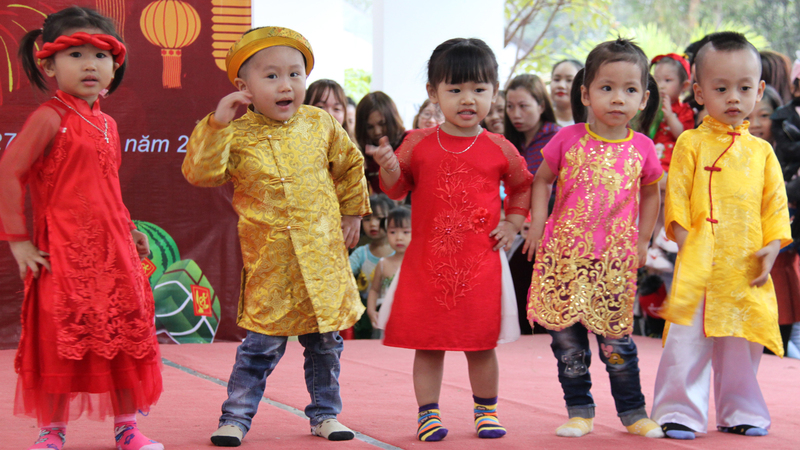 In Vietnam the Lunar New Year is known as Tet – it’s a special time for families, fun and hope for the future. But for factory workers, who’ve had to leave rural villages to find work, it can also be lonely. 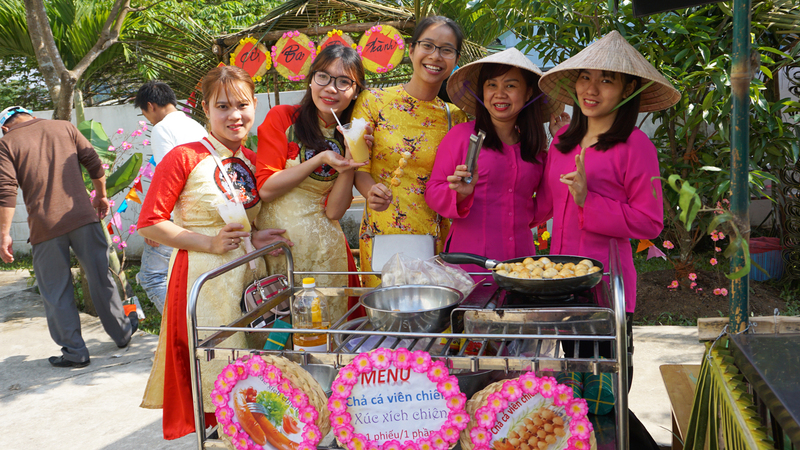 Tet can be a reminder that wider family is hundreds of miles away – making the city feel especially lonely. 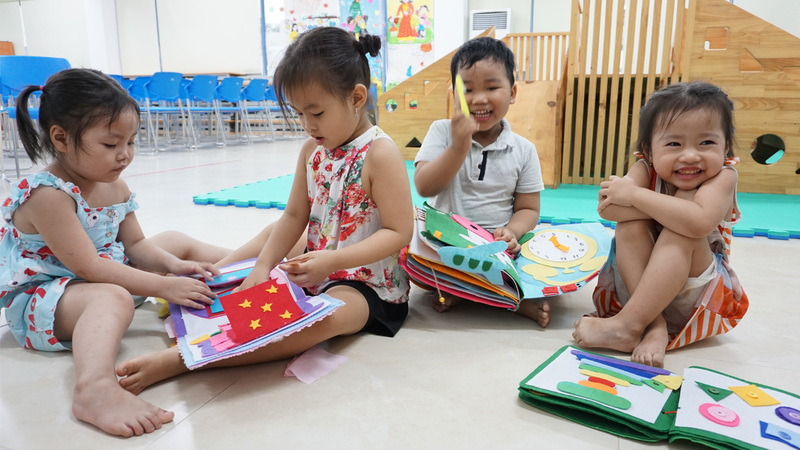 At OneSky’s Early Learning Center (ELC) in Da Nang, teachers are well aware of the pressure parents face. The center is specifically set up to look after very young children of rural migrants working in the surrounding factory zone. It means children can still get the best possible start in life. However, parents working six days a week can feel isolated. 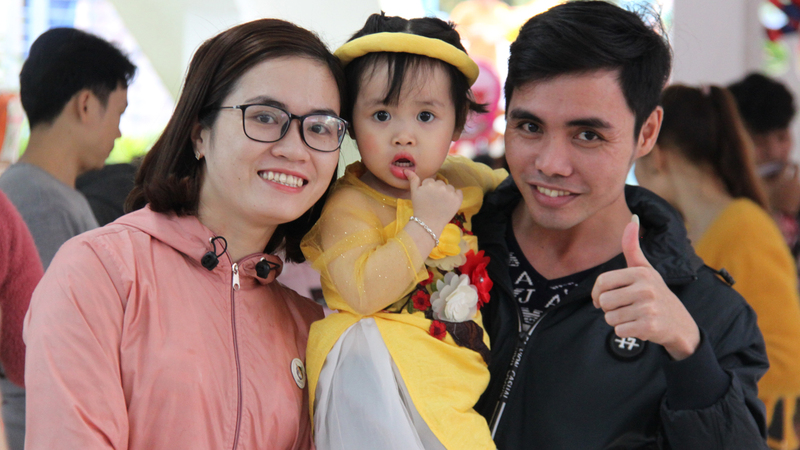 That’s why this Tet, ELC teachers desperately wanted to give them a taste of home and a special reminder they have a new family who cares. 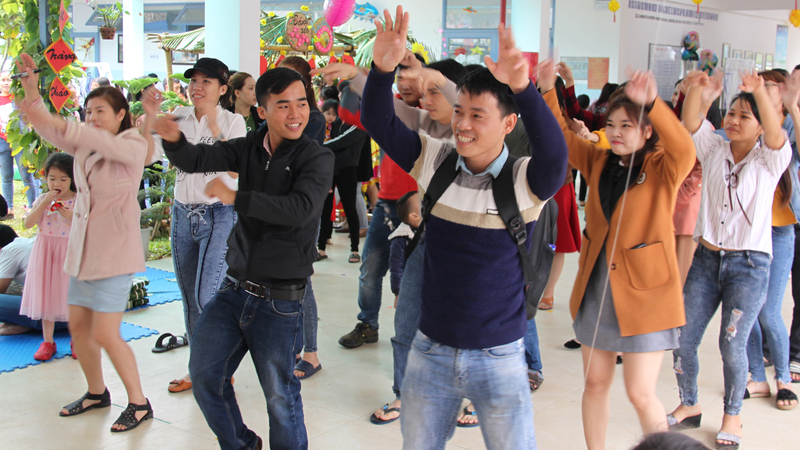 “We invited all parents to a traditional Vietnamese village spring fair. We cooked banh chung (a savory sticky rice cake). 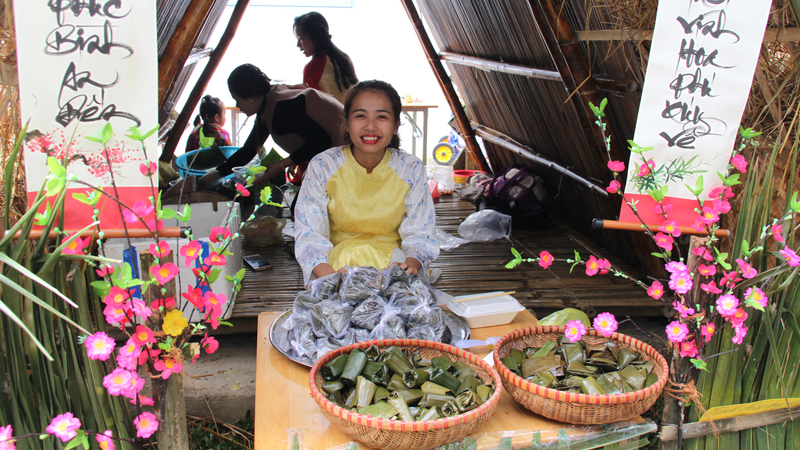 The children wore traditional clothes and enjoyed a village market. 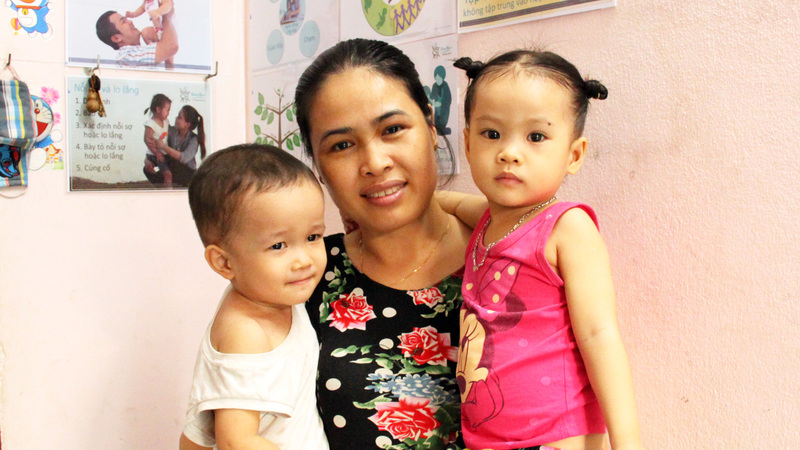 Many parents will head back to rural villages over Tet, but not all will have the opportunity. We didn’t want their Tet to be lonely. At the spring fair, children sang and danced with parents joining in. Team games broke down yet more barriers.